CSUN alumnae from the Operation Chicano Teachers program created the Operation Chicano Teachers Scholarship. They became teachers and principals. They helped shape thousands upon thousands of lives. Products of the Operation Chicano Teachers (OCT) program — an initiative that began at California State University, Northridge in 1973 and was intended to recruit and give academic support to Latino students interested in education careers — 13 women from the second cohort are making a new impact. 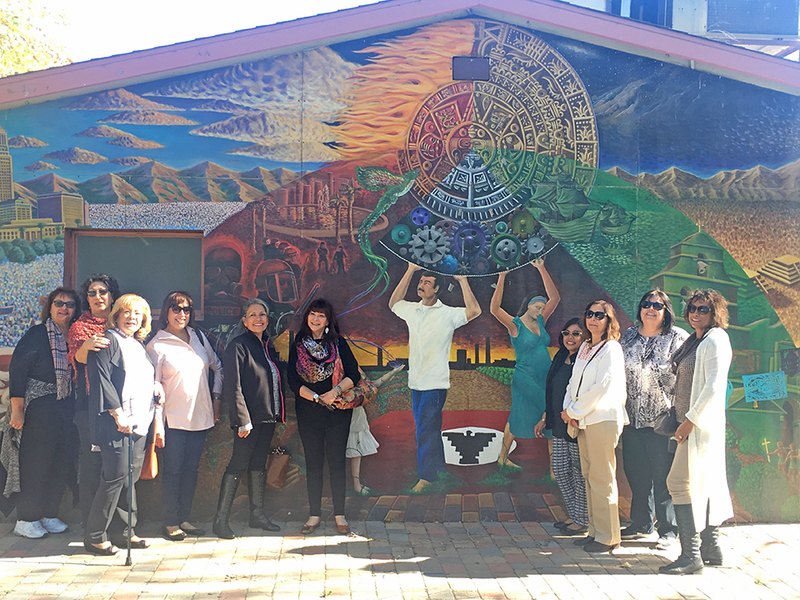 The 13 women banded together recently after years of internal discussions to create the Operation Chicano Teachers Scholarship. Beginning this fall, two Chicana and Chicano Studies majors, whose intentions are to become social/science history teachers, will each receive a $1,000 scholarship funded by this thankful alumnae group. Operation Chicano Teachers began in 1973 through a three-year grant from the Ford Foundation. The money helped pay for staff salaries and gave each student an annual stipend of $1,000. Most OCT students, according to an article in the Daily Sundial from Oct. 18, 1974, took 19 to 21 units per semester. Students had to apply for a spot in the program. They had to be bilingual, desire a career in education and have a strong academic standing. The first two years of the program had 75 students start it each year. With students taking the same classes, it formed a team-like approach to earning a degree. It also created special bonds. “That’s what made the difference in us succeeding,” Eshaq said. “I think we all had the courage. I think we were all scared, but we were determined to accomplish something. And I think we may not have graduated without the extra support from CSUN, OCT and the Chicano Studies Department. We felt like a family. We weren’t alone. That was the key. It’s a reason why we were close and still are close. We yell at each other every now and then and get on each other, but we love each other. Rubinstein said she came from a family where there was never any incentive for a woman to go to college. She was born in Argentina and came to the United States at 10 years old and had to pick up English quickly. “If you’re going to do this crazy thing (go to college) and not get married, you have to do it on your own,” she said was the thought within her family. She first went to community college in New York, and later made her way out west and to CSUN. Rosa also arrived in the U.S. at age 10. She came from Mexico not knowing any English. OCT was a gateway to help kids who grew up just like these 13 women. All 13 became teachers, and three became principals at some point. Today, they are all retired educators. For years, the group talked about giving back. It wasn’t until more of them retired that the talk became closer to reality. “I basically said, ‘We’ve been talking about this. Let’s do it,’” Eshaq said. Eshaq said she met with Chicana/o studies professor Gabriel Gutiérrez who introduced her to CSUN Director of Development Suren Seropian and Development Associate Chelsea Wisenbaker, who laid out an easy plan for the group to make the contribution.